Let's celebrate a Christian Christmas by keeping Christ in CHRISTmas as the very center of our celebrations! In a day and age where the holidays (holy days) have become more about selling a product, it's that much more important for us to keep "Jesus as the reason for the season" as our focus for ourselves, our families and our churches. Christmas traditions are important in creating lasting and precious memories in families. They give children a sense of roots and continuity as traditions are repeated each holiday season and eventually even passed down to further generations. Christmas is an ideal time to instill a wonder and love for Christ in our children's lives. 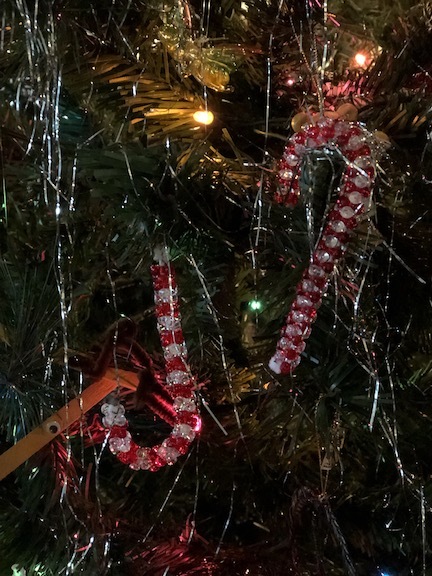 So many of the decorations and trimmings of Christmas can be used as wonderful Christian object lessons too! This is also a perfect opportunity to use a Christmas Countdown﻿ to help your family or church group to focus on Christ during the 25 days of Christmas! 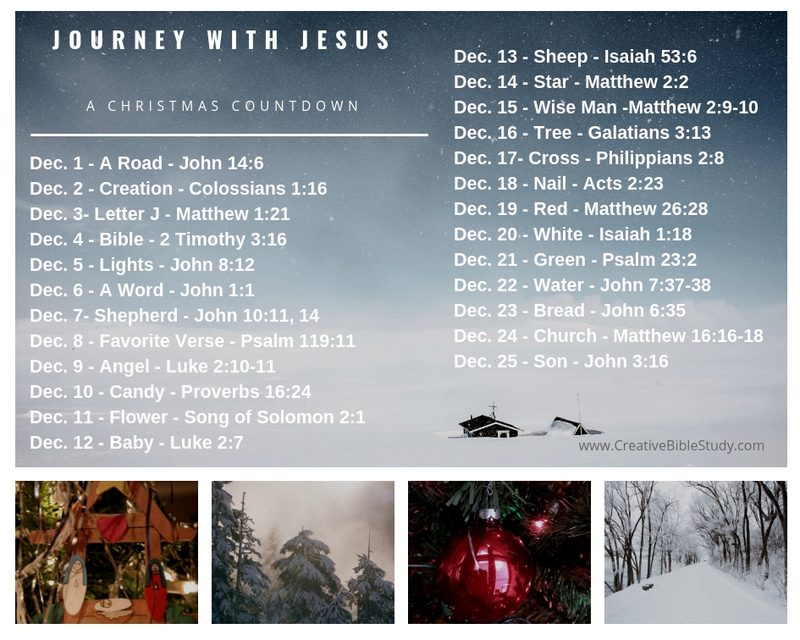 Here are twenty-five "Journey with Jesus to Christmas" countdown on-the-go, active, object lesson devotions with Bible verses to help us keep our focus on the true reason for the season! Each day snap a photo of each item for a visual and use as a photo challenge on Social Media, or with your family, small group, friends or just for yourself. It’s a fun way to enjoy the presence of Christ each and every day as we look towards celebrating His birthday! Another free Bible study lesson is for those looking for hope this Christmas and in life itself! Maybe you or someone you know needs a recipe for joy that's found in our Christmas devotion! At our house, we have the tradition of hanging The Christmas Nail first on our tree. After searching for that type nail and thinking of other ideas, I ended up with the idea for The Salvation Nail. It’s simple to make and can be a Christian Christmas ornament used each year to remember and share the story of the Gospel! This year we're in the midst of moving from one home to another; therefore our Christmas decorations are packed away. We've decided to go the "old-fashion" route and make our own decorations. I found several really neat homemade Christmas ornament ideas, and we even plan to string popcorn & maybe cranberries! Time together is one of the most priceless gifts we can give to our family at this special time of year. 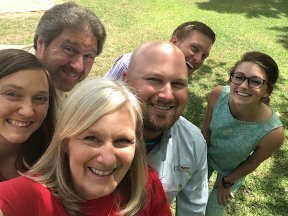 Creating ornaments, singing Christmas carols, sharing Christmas object lessons we see will just be a few of the ways we'll be creating fun family memories! Christmas Candy Cane with the Story of the Candy Cane. Chrismons or "Christ monograms" are Christian faith symbols which are used for Christmas decorations and tree ornaments. Chrismon patterns can be used in a variety of ways to be traced and decorated by children. 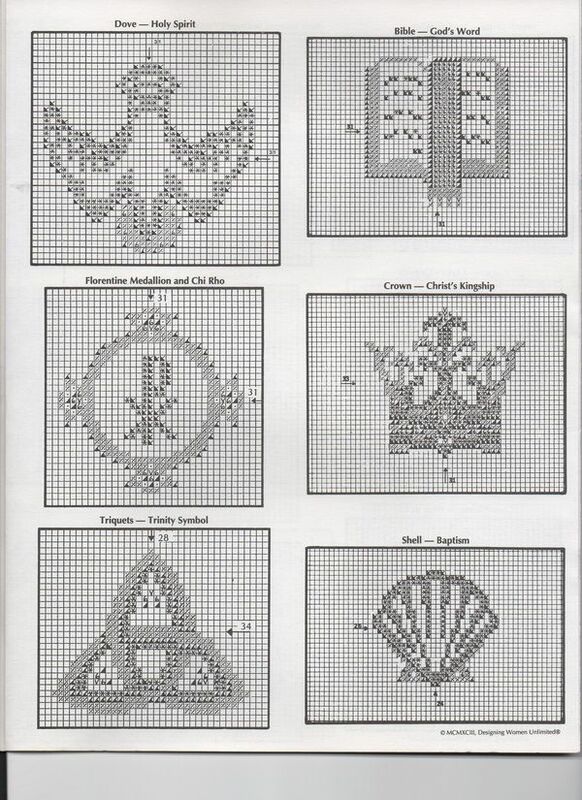 Adults may also create these beautiful beaded and felt Chrismons or use cross stitch patterns to make wonderful Christmas accents and decorations for churches. Or this beautiful Chrismon star snowflake pattern may be used to cut a wonderful three-dimensional Chrismon.